San Luis Obispo, CA – Obsidian Luxury Services is proud to present itself as the Central Coast’s preeminent luxury transportation service. With a full fleet of sedans, black car SUV’s, limousines, and luxury Mercedes Sprinters, the styling of our equipment is only outdone by our focus on getting every detail right for our clients. Whether it is wedding shuttling, business travel, or high-end wine tasting, we guarantee an experience that is modeled after the ethos of the community around it. San Luis Obispo and the entire Central Coast have been enjoying a prosperous growth period for the better part of two decades. Tourism, real estate, and nightlife have become the focal points of an expansion that celebrates the modernization of small towns without losing the hospitality and charm that made them so endearing In the first place. Obsidian also benefits from being the sister brand to an already successful transportation provider, SLO Safe Ride. SLO Safe Ride has spent the last 8 years growing and expanding its products to suit the needs of tourists and locals alike, and realized that while the original moniker was perfect for its college town roots, a step up in presentation would be needed for business executives, VIP tasting tours, and high end gala style events. Enter Obsidian Luxury Services—a brand that is expected to carry the torch of high standards in the industry set by its predecessor. We encourage you to visit our website, call our office, and ultimately experience what a luxury transportation provider can do for the Central Coast. 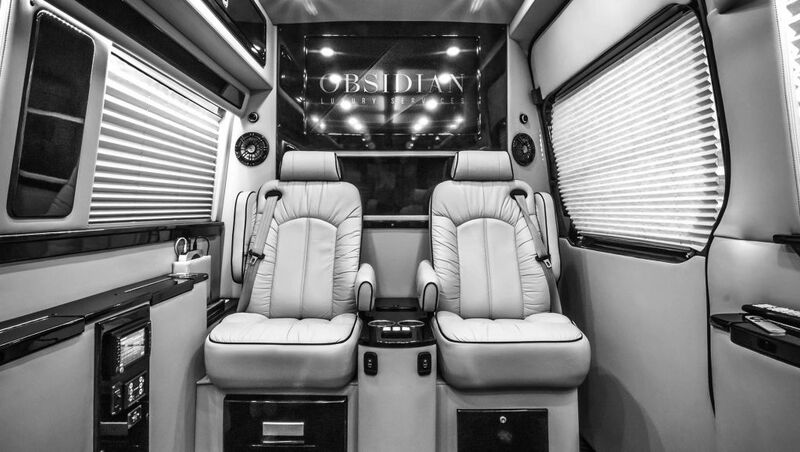 OBSIDIAN Luxury Services is a chauffeured transportation company that specializes in high-end corporate events, VIP concierge, and valet services. Reliability, prompt service, and attention to detail are important attributes of any good luxury provider. Our goal is to provide a personalized experience that is both memorable and effortless; we are the finest and most well-equipped travel provider on the Central Coast.